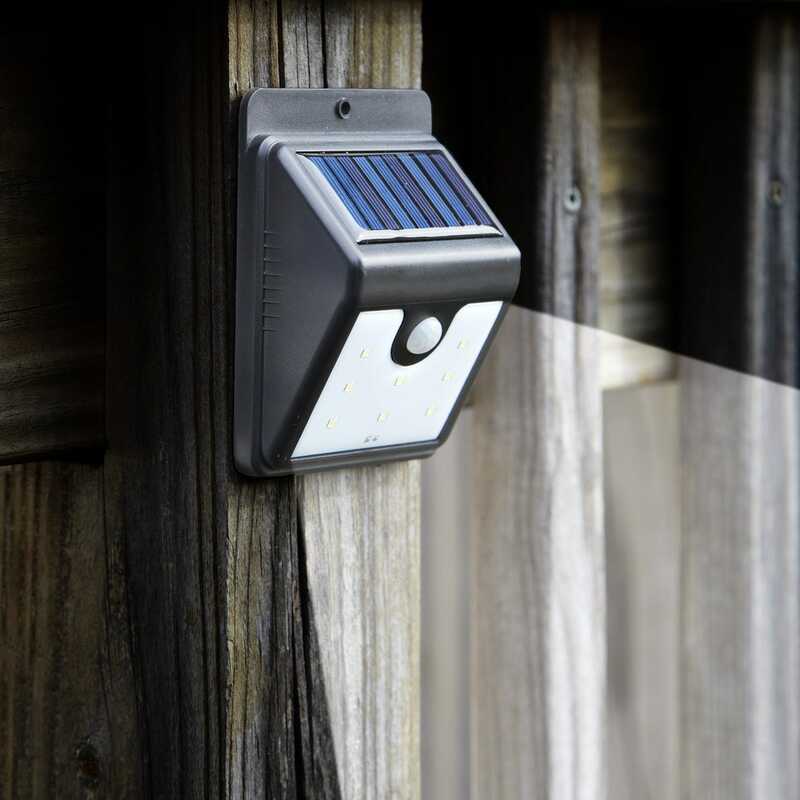 This handy solar powered Anywhere Light gives you the freedom to illuminate dark areas around your home without the hassle of tools or wiring. 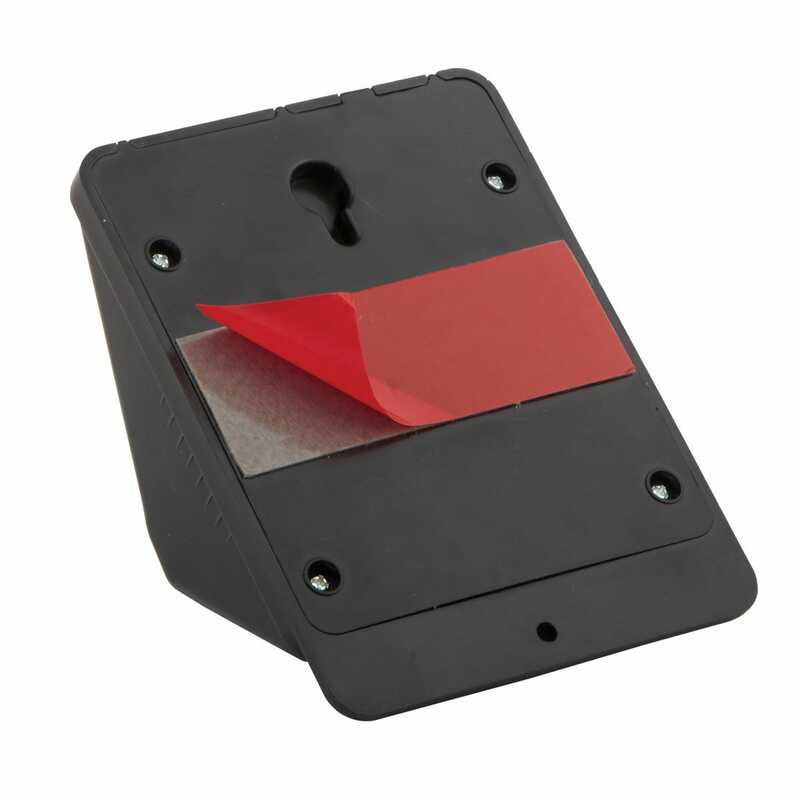 The easy to use adhesive peel & stick backing sticks to almost any surface in seconds, wall mounting screws are included for use in the rare occasion they are needed. The 8 COB style LEDs produce a bright 160 lumens when motion is detected up to 20 feet away, then automatically dims to 50% brightness to save power while also keeping the area lit for safety and security. Durable weather proof design lasts for years. 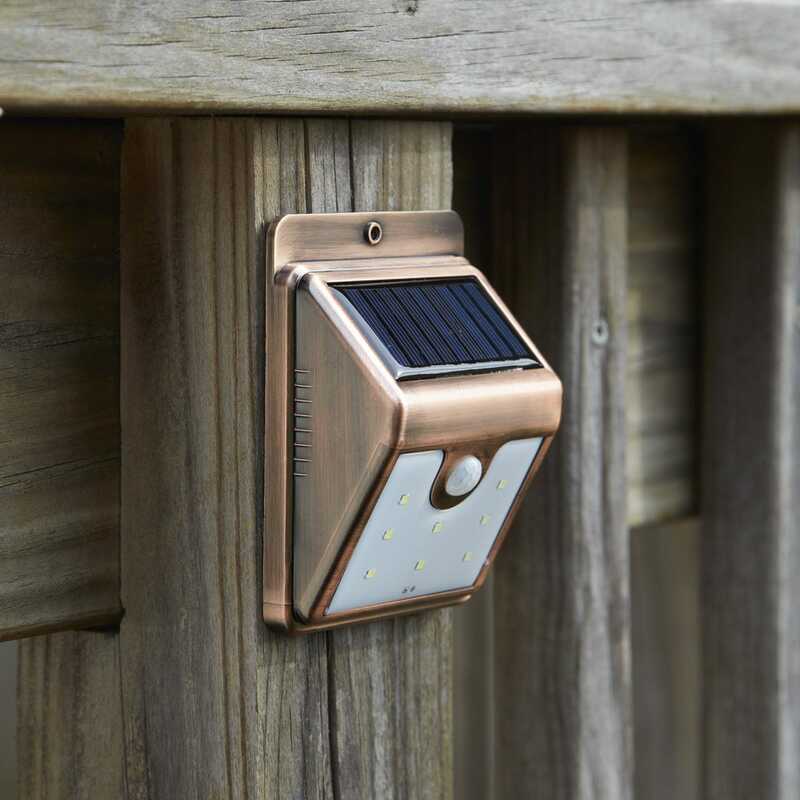 These are perfect for use above doors, fences, deck railing near steps, and anywhere light is need. Measures about 3 1/4"w x 4 1/2"h x 1 3/4"d.
It works extremely well and performs beyond my expectations. 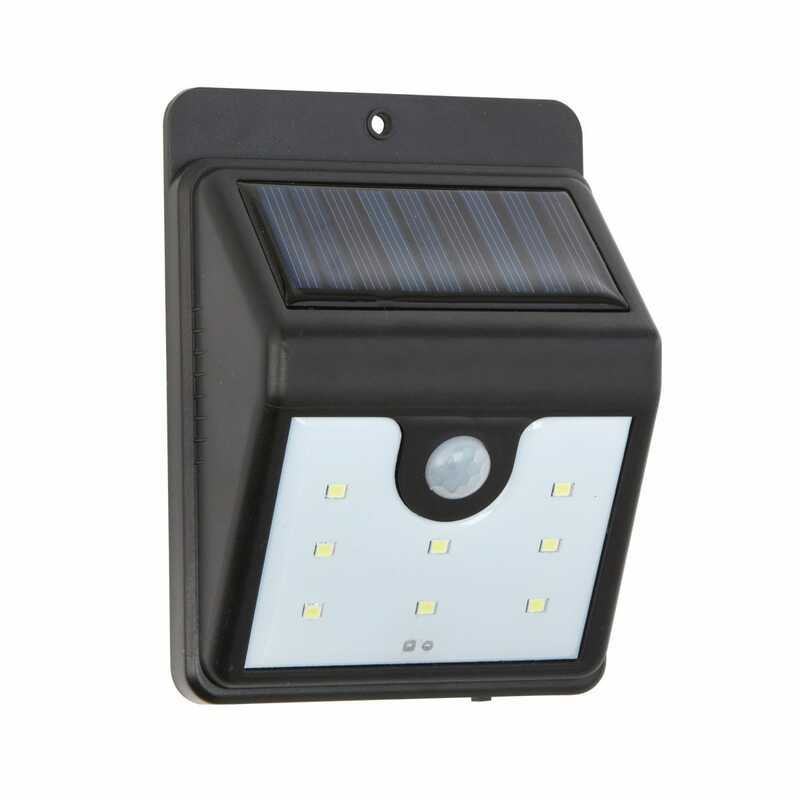 The motion sensor is quite sensitive and the unit provide good solid bright when you move in close proximity to th unit. 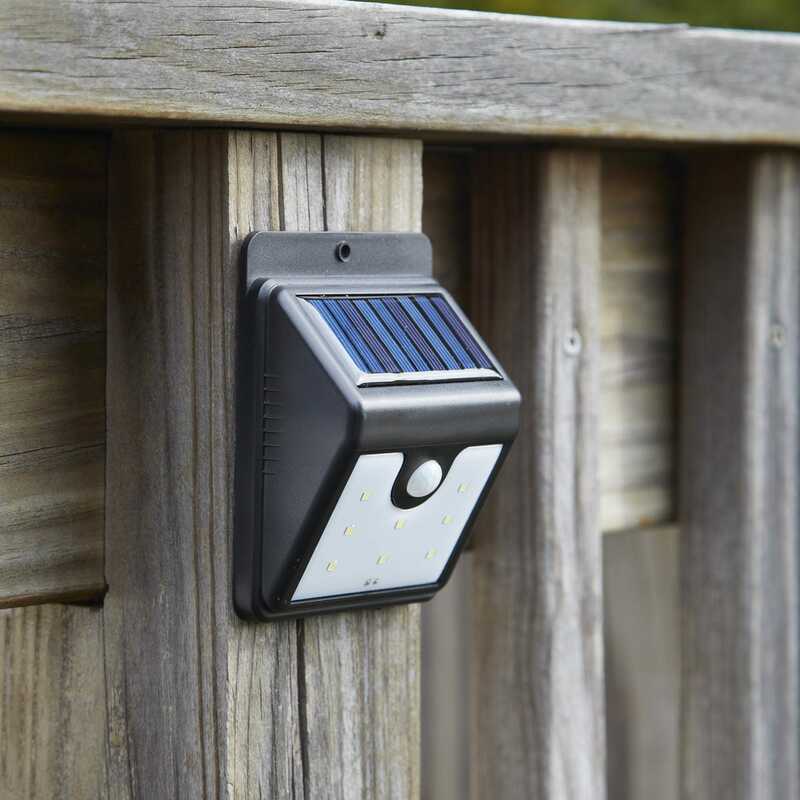 I installed the two solar lights, one on each of my sheds. I thought the overhang would prevent the sunlight to power the light fixtures, but I was pleasantly surprised that it did not. The sun and daylight were captured and when night time came, those pretty, little fixtures did their job and shone all night long. I still need to test them to see if the motion detection will make them light up brighter. Just take them out of the box, peel and stick, flip the on and off switch to on. That is all. Just put them in a place where they will get sun light. These are absolute wonderful! They put light right where you want it! I had two lights, no these , but they come off in the heat and constantly eat up batteries. 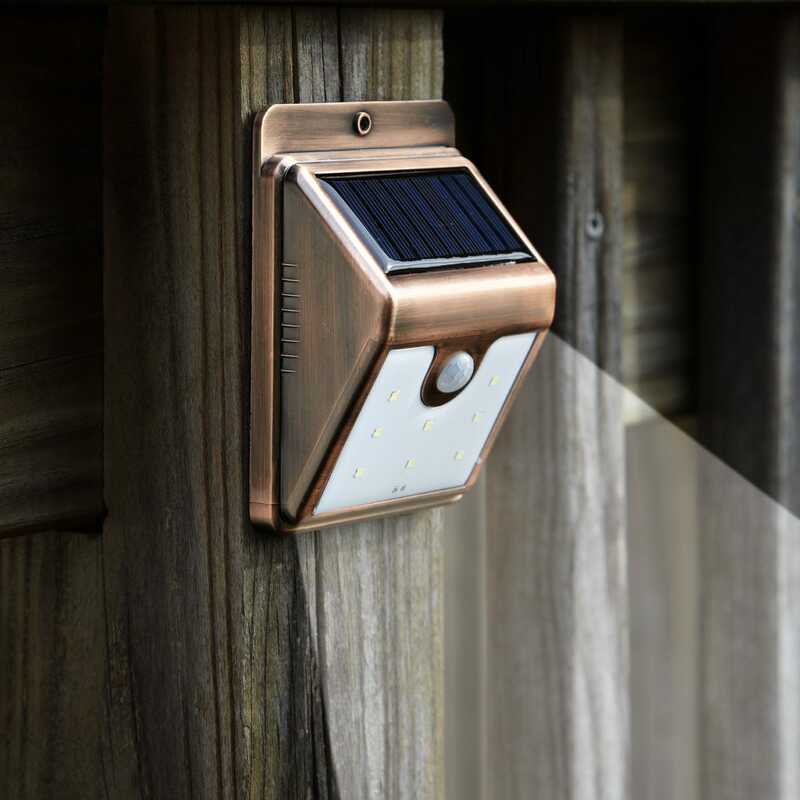 These solar lights haven't falling off yet and its gives just enough light, not overwhelming to safely light your way. PLUS NO BATTERIES to change EVER!!! 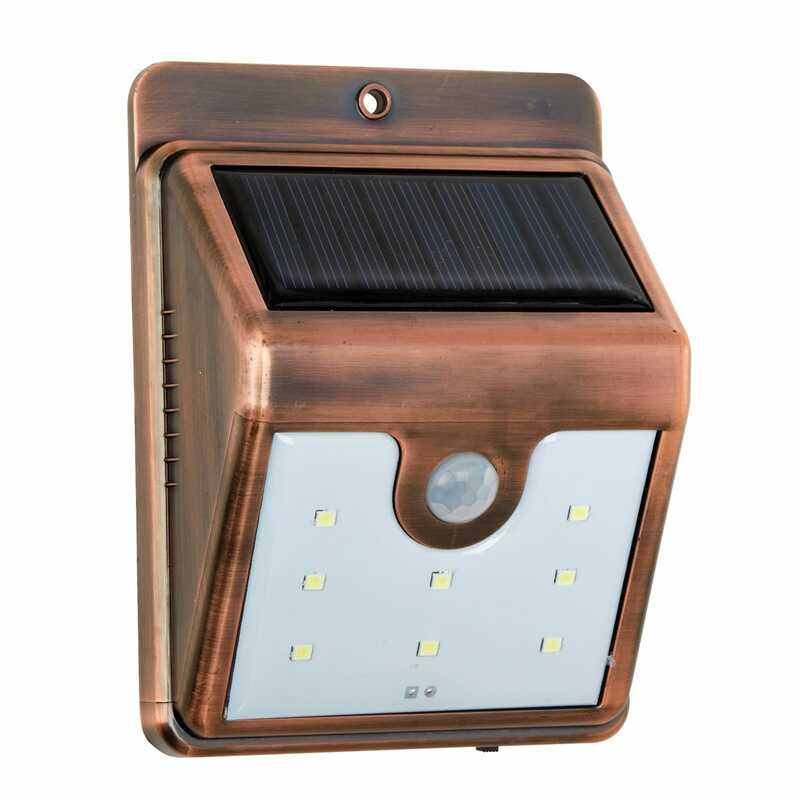 I ordered 6 of these and started to install them on my outside areas. Some of the batteries were completely out and had to leave them in the direct sun for a day or so. Also there were 4 of the lights that the white, front panel flipped off. I saw that they had been glued in with some kind of 'rubberized' cement. I re-glued them with 'super-glue' and so far they all work ok. I think they are a good buy and easy to install. I drilled a small hole (2 holes altogether) and used the screws furnished to fix them to the outside locations. I put 2 on my yard fence close to house, 1 on each side of my double garage, 1 on my front portch railing, 1 next to the top of the outside stairs. Good to have, I think. Recommend highly to others. Extra note: the shipping is kind of high but I guess this company is new. 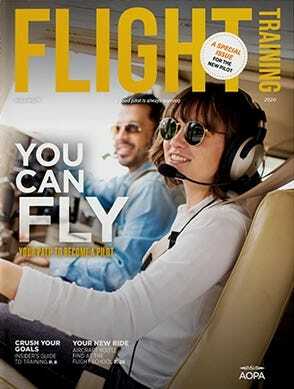 Hopefully in future they will be offering an incentive or incentives for customers. I am 84 yrs old. A little unsteady on my feet. Its dark on the porch. Coming back in the night is a little hazard to me. Having light on the back steps are a little reassuring and probably helps averting an accident. Thank you for the review, James! Sometimes all you need is a little extra light to avoid those small hazards. Thanks again! They work great. They were easy to put up. They work just like they are to do. The light is every thing it is suppose to be. I bought some of the earlier ones, from the manufacturer, black in color & they had problems . Those were the black in color. The ones from sporty are the copper colored ones & I have had no problems. Thank you for the kind review, Ernie! 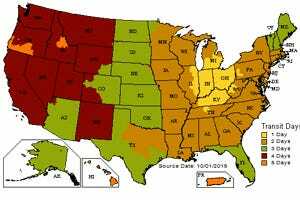 We did a lot of research finding the best value Lights out there. I have these everywhere around my home. Very handy!